EUROCOMPULSION Complete Inter-Cooler Hose Upgrade for the Alfa Romeo 4C. This Kit includes our KEVTEK European Silicone and stainless steel clamps. This kit is a direct replacement for the factory rubber hose. 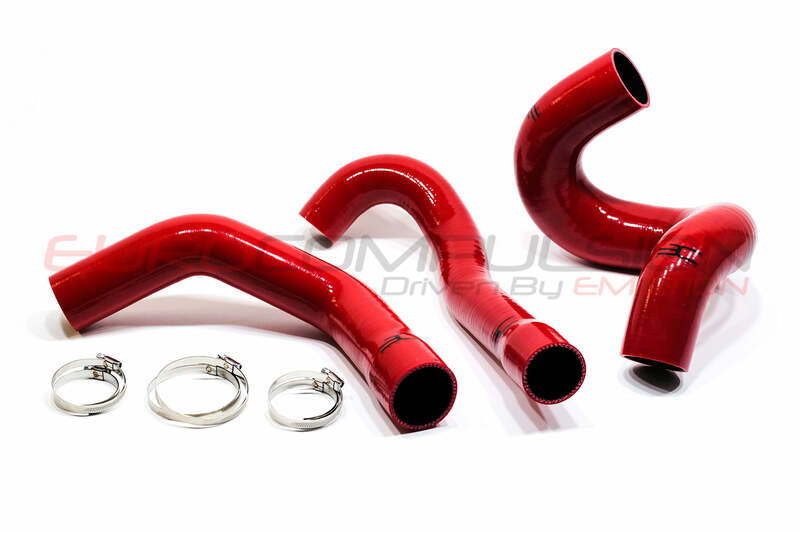 Our Silicone has a thermal conductivity that is less than half of the factory rubber, which will keep the extreme heat from the exhaust and turbo at bay prior to entering the Inter-Cooler, which result in lower charge temps and increased inter-cooler efficiency. Our silicone with its Kevlar Aramid reinforcement will last the life-time of the vehicle and will never need to be replaced. Enjoy improved Aesthetics that look the part, without over being over the top. Will fit North American, European and Australian based vehicles. Perfectly paired with our updated V2 Air Induction Kit. The EURO+DRIVE® DIRECT Tuning System is an economical solution in loading calibrations on your Alfa Romeo 4C. Using genuine Alfa Romeo 4C based software, protocols and calibrations, we have increased drive-ability, power and throttle response. We are proud to have the ability to offer you the most comprehensive tuning option for your Alfa Romeo 4C. 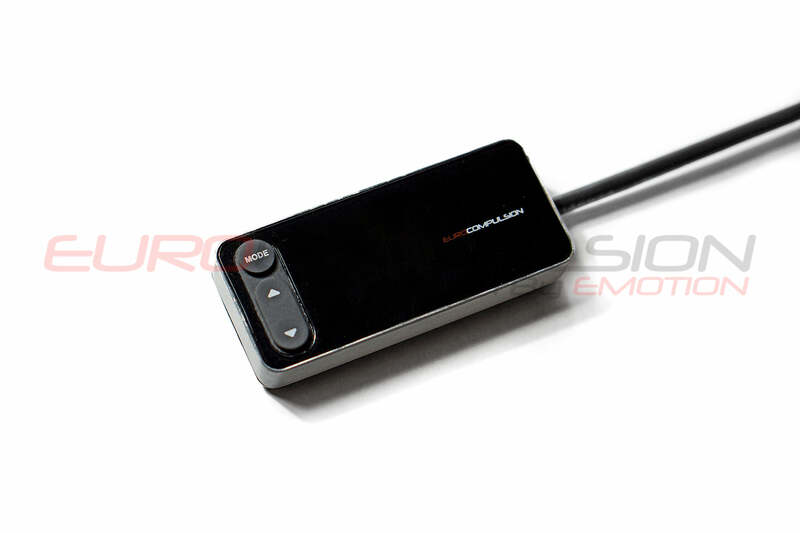 Each purchase includes our calibration loaded onto YOUR Engine control Module. Designed and developed in the USA. Last edited by [email protected]; 02-01-2018 at 12:16 AM. Where is this company located? The ECU needs to be sent? is there a shop in LA? It's how the internet works. I love how you use high quality worm clamps vs t-bolt clamps. All T-Bolt clamps have a flat spot which can result in a boost leak or worse, a bent pipe if over tightened. We are located in Oklahoma and NY. The Direct calibration requires you to send the unit to the Oklahoma address listed on the website. The Clone version does not require an ECU to sent in. Chris, I have your older version of the 2 top and bottom IC hoses. Do you offer just the 3rd hose on it's own? If so, do you have it in black like the older ones, or just the red kevtek. Any tips on installing the 3 hat trick hoses, thanks in advance. What happened to the STG3 Tune?